Oh, sweet! I didn't know this had been played at all. Congrats, Ruskies! 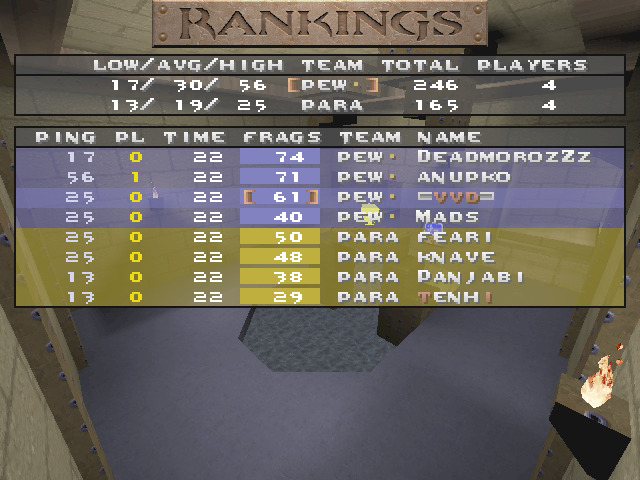 It was played at "Date: 2013-06-10 02:17:43 EEST", but only 2 maps - paras can't play more in this day. We ask Hooraytio to report only 2 maps - he was agree.